European manufacturers need to sell more battery-powered cars to meet tougher European Union limits on carbon dioxide emissions that become effective in 2021. Automakers like VW, Daimler and BMW risk financial penalties if they can't meet requirements for lower average emissions. 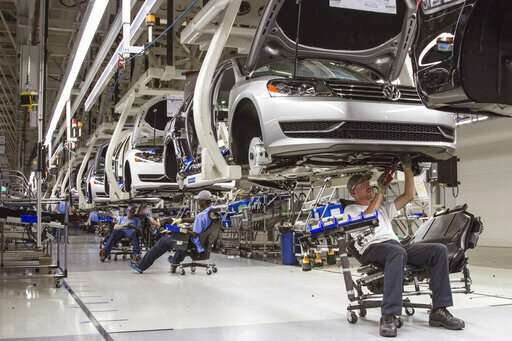 Jeff Schuster, an analyst at LMC Automotive, said the European regulations and the emissions scandal likely influenced VW's decision to bring electric vehicle production to Chattanooga. "The market was moving away from diesel," Schuster said. "The scandal essentially accelerated that trend. The most obvious solution is electrification." Electric vehicles are taking on a more important role globally, Schuster said. Among European brands, Mercedes, Audi, BMW and VW are "leading the charge toward a higher proportion of their models being electrified," the analyst said. 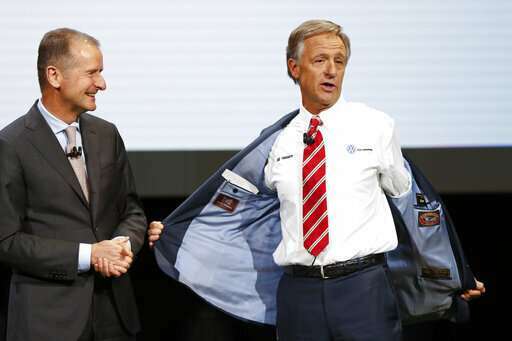 Herbert Diess, CEO of Volkswagen AG, said in a statement that the plant in Chattanooga "is a key part of our growth strategy in North America." The facility sits on 1,400 acres (560 hectares) and currently employs about 3,500 people. At the Detroit auto show, Diess said the automaker can also expand more rapidly than building a new facility elsewhere—though he sees "pros and cons" to the decision. "It's not easy to attract further labor there—the labor market is a constraint," he said. "Still, we have invested a lot, we have a lot of governmental support there, a strong team there. It makes more sense to increase capacity in Chattanooga."